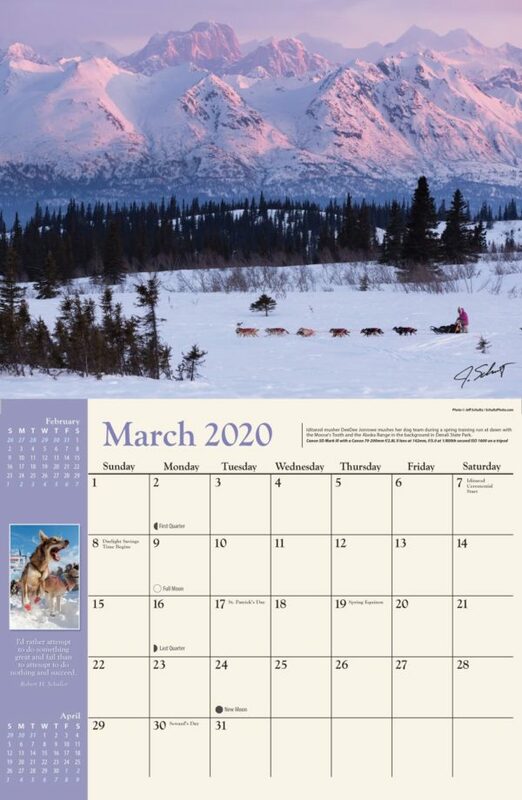 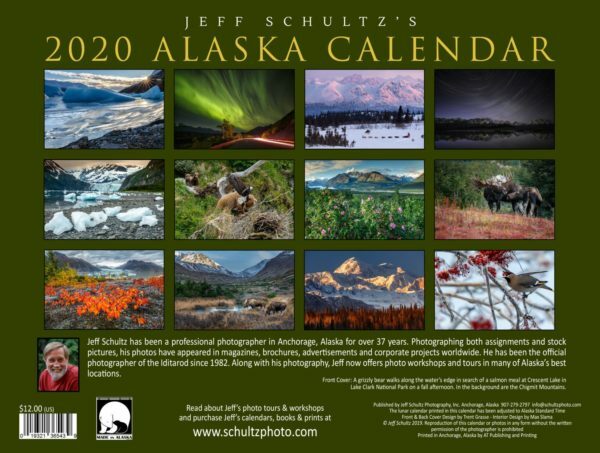 Jeff Schultz’s 2020 ALASKA Calendar showcases Alaskan wildlife, landscapes and adventure photographs by award-winning Anchorage resident and professional photographer Jeff Schultz, official photographer of the Iditarod. 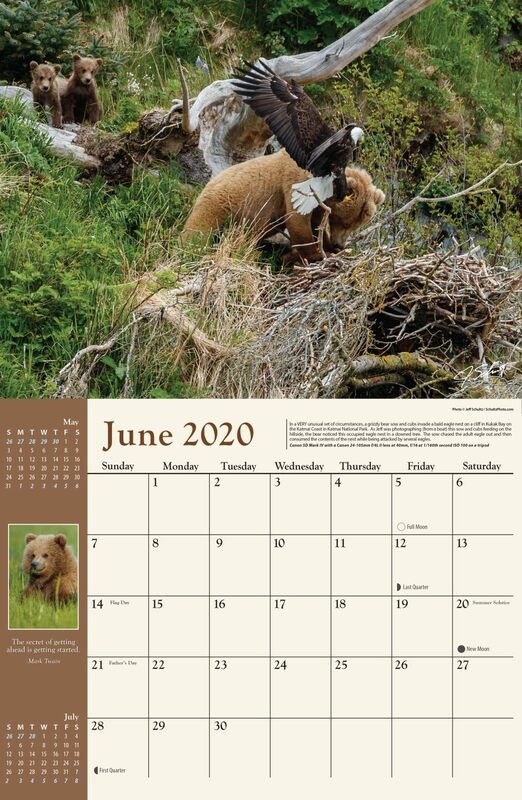 Need your calendar faster? 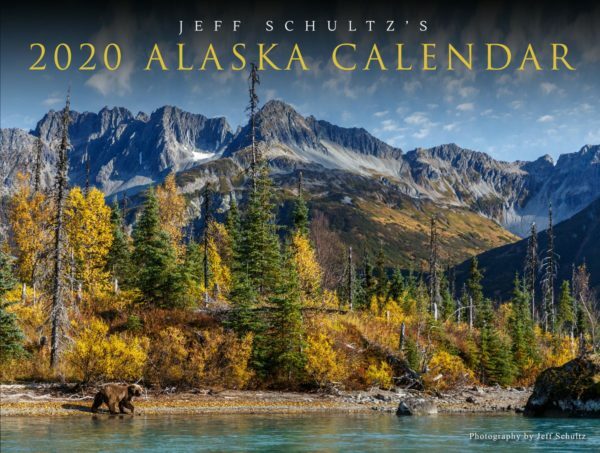 Choose Priority or First Class Mail at checkout. 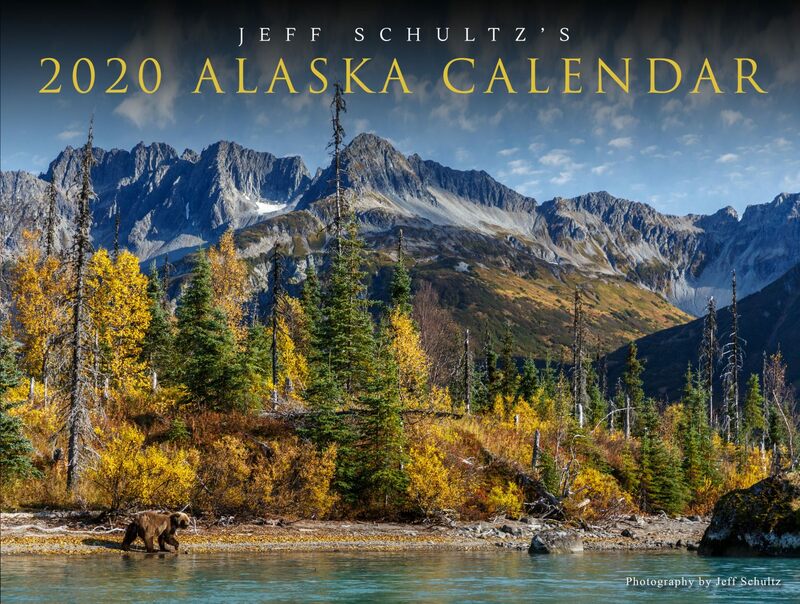 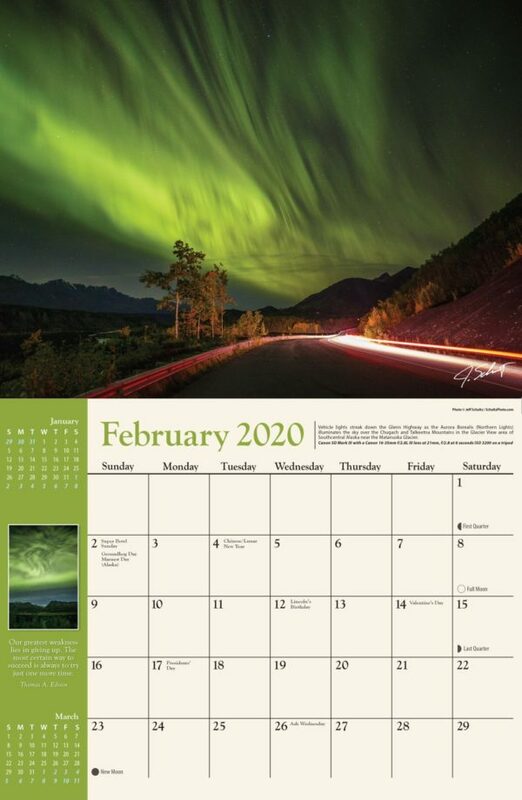 Use the Jeff Schultz Alaska calendar, customized for your company. 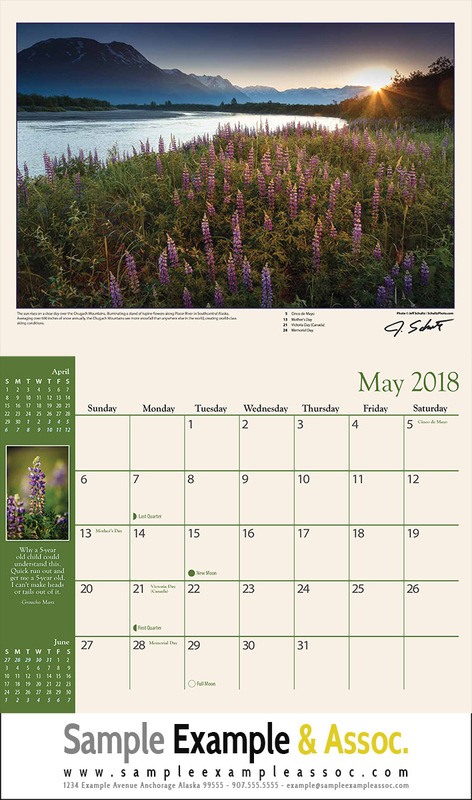 We offer a complete 4-color plate change to the front & back cover custom designed and printed with your company name, logo and even your own photos or a different photo that Jeff took. 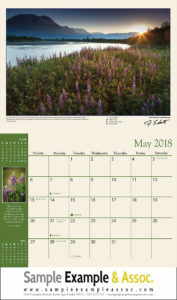 The inside of the calendar would be the same as the retail version above. Give these away as gifts to your preferred vendors and/or clients. Minimum order only 250.